The condition of the skin getting sensitive is expressed as "easy to get a rash" generally, and "festering" in the serious state. Recently, the word "allergy" is used quite often. It includes various conditions, from the light one, such as just red spots and those spreading the whole skin, accompanying itchiness, to the serious one, getting blisters or itchiness turns pain. The causes of the allergy are understood as the external stimulation such as the sunshine, plants for example the sumac, animal hair, dusts, soils, cosmetics, detergents, synthetic fibers. However, when considering that there are those who are weak and those who are not to the same external cause, it can be said that whether such stimulation becomes stimulation of allergy or not, is related to the condition of the recipient. In the explanation of the Western medicine, the strong reaction of antibodies to the antigens turns allergy, but how antibodies react are depending on each individual's daily life. The mucous membrane is what consists of the digestive organs, the respiratory organs and the urogenital organs, being continuous to the skin, so it can be referred as the skin inside the body. The mucous membrane has a sensitivity as well as the skin, so the hyperemia or the inflammation may occur by the stimulation of plants such as pollen, the animal hair, strong alcohol, strong coffee and tea, hot food and drink, spicy food and drink, sometimes medications and a poison in some cases. The inflammation of the mucous membrane is referred as an "ulcer" generally, but the light one is called a "sore" and sometimes "itis" is used such as the gastritis, and the lightest one is hyperemia. The mucous membrane in such a case becomes red and painful like the skin. Whether it is the skin or the mucous membrane, both are the surface of the skin, so the density of qi of the body there is the loosest and most flexible. However, what sustains the order of the surface are organs, so if organs get weak, the flexibility of the skin or the mucous membrane decreases, getting weaker or easier to react to the stimulation from the outside. The phenomena, such as the pain, itchiness and the abnormal reddish color of the skin or the mucous membrane, imply heat, indicating that the core of the body called organs gets relatively weak, that is, becoming cold relatively (Coldness includes the state of less active). There are two kinds of organs getting weak, one is congenital, another is acquired. Congenital one refers to hereditary problems, prenatal or time-of-birth problems, but it is possible to restrain the problem by the proper daily habits, as well as the acquired case. The advisable daily habits are sweating once in two days, sleeping before midnight, having the modest food and drink both in quality and quantity, having the moderate sexual life and trying to look oneself objectively when having the worries. (1) If one thinks this symptom merely as a problem of the skin, one tends to think just applying the medication to the skin and be in hurry. The problem of sensitivity is constitutional, so basically, one has to look back and correct his/her own lifestyle, such as sleep and work hours and leisure, and treatments would take some time, so one should not hurry. (2) It is advisable to look back your own lifestyle, then consult with a professional. *This article is translated from "Yamai hitokuchi Memo" p. 166-8, written by Shoji Kobayashi, 2005. 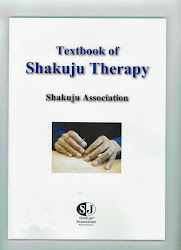 Articles of the book were meant to be written for patients who came to Taishido Acupuncture Clinic.